Although I am still trying to title every article, when each contains four chapters it’s actually a lot more than that. But I think this is also a way of summarizing my reading, so I will keep doing this. I always think that literacy is cultural, and it presents in many elements, such as media, writing and attitude. In the field of Health Literacy (HL) it’s even more obvious. Since we are living in this melting pot, many times the word “cultural” is more “multicultural”. First, for example, the author discusses about media. Unlike the old days when most people learned about health from their doctors, today they are more from television, radio, websites, newspapers and magazines. The good side is people might be taught more health knowledge, but the bad side is they might be too panic about decease, have too high of expectation toward treatment—one famous study is that in TV shows the success rate of CPR, about 55%, is actually much higher than in real life, about 10%—, or get pursued by ads to buy medicine they don’t need. 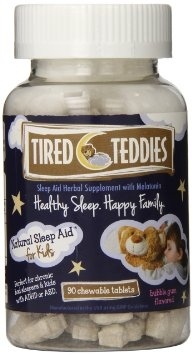 Another example the author points out is that “the picture of a cute teddy bear or sleeping baby on the label of children’s medication may encourage parents to buy it”. As one “treatment”, the author introduce a website called Health News Review that uses stringent criteria to grade health stories on a scale of 1 to 5. 1. Provide translated tools of basic phrases in clinical settings (but of course, patients must be able to read in their native language). 2. Communicate the message in alternative ways, such as body languages (of course must be cultural appropriately), drawings, an anatomic model, a visual rating scale, audio or video. Here are two websites that the author recommends. One is called Ethnomed, which is about integrating cultural information into clinical practice. The other is called MedlinePlus, which provides translated materials. 3. Use meaningful examples and illustrations. But remember to make sure that they are “consistent with the culture, age, and interests” of the readers. Third, the use of jargons or acronyms. This reminds me of the “Discourse” Gee stated in his article. If you are not a member of one Discourse, nor a member-to-be through apprenticeship, it’s almost impossible for you to know the meaning of some words. One example the author points out is that in health care, the term “unremarkable” generally has a good meaning of “you are find”, while the term “positive” has a bad meaning of “you are not”, and this is quite different than our “feelings” toward these words. Last, the author talks about being humor in the serious business of health care. While there are many conversations about life-and-death issues that can’t and shouldn’t be taken lightly, there also are occasions, either in clinical setting, in print or in video, when humor can improve learning and understanding. 1. The author suggests that we can include a dose of humor with cleaver illustrations or ridiculous examples in print. Do you agree with her? If so, how do we do it under the multicultural perspective?